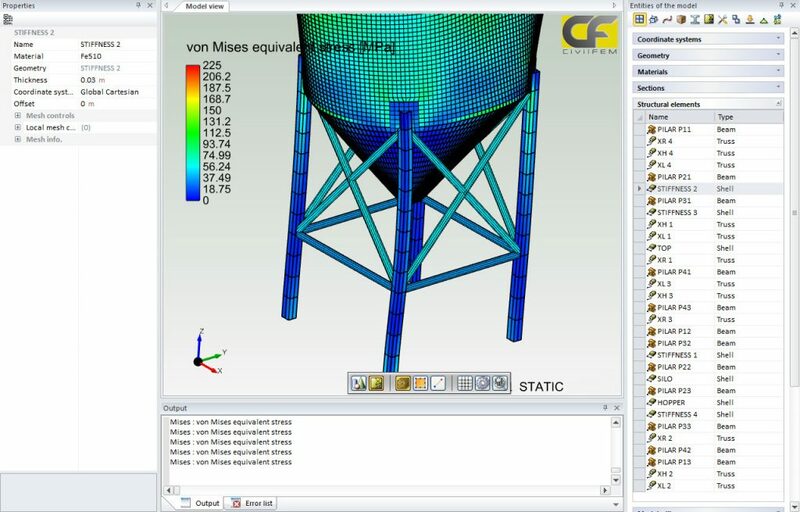 CivilFEM is one of the most advanced non-linear analysis software in the world, powered by the industry-leading finite element solver Marc, from MSC Software. 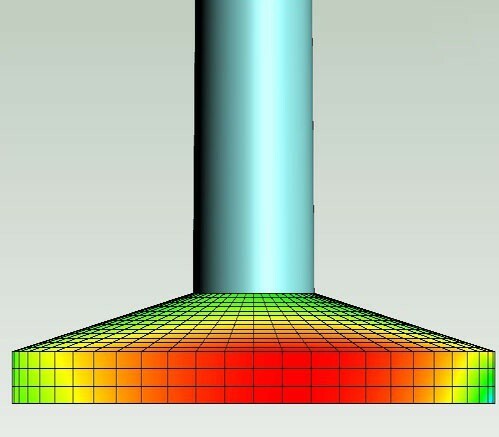 Coupled with an easy-to-use graphical user interface designed for civil engineers by the civil engineers at Ingeciber, CivilFEM powered by Marc provides sophisticated system-level structural simulations of large commercial buildings, bridges, tunnels, nuclear power plants, and other structures. 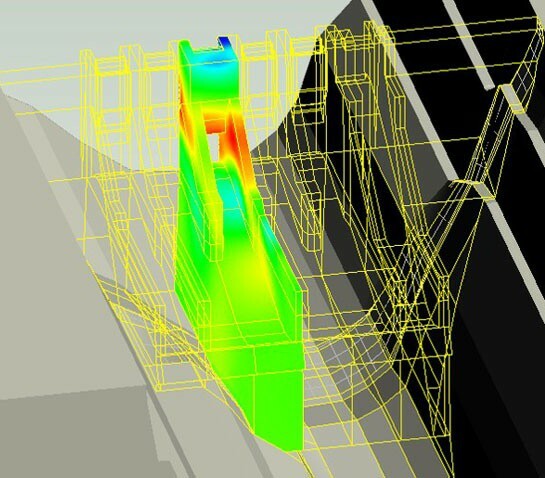 The result is robust, efficient, and accurate simulations for the infrastructure, energy, construction and mining industries. 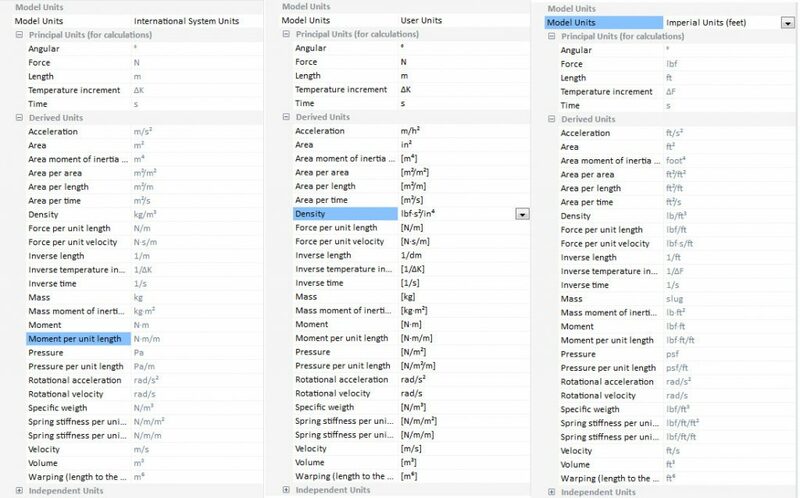 All finite element solver capabilities necessary for civil engineering are tightly integrated in to a single software package with an advanced “Office”-style multi-language GUI. 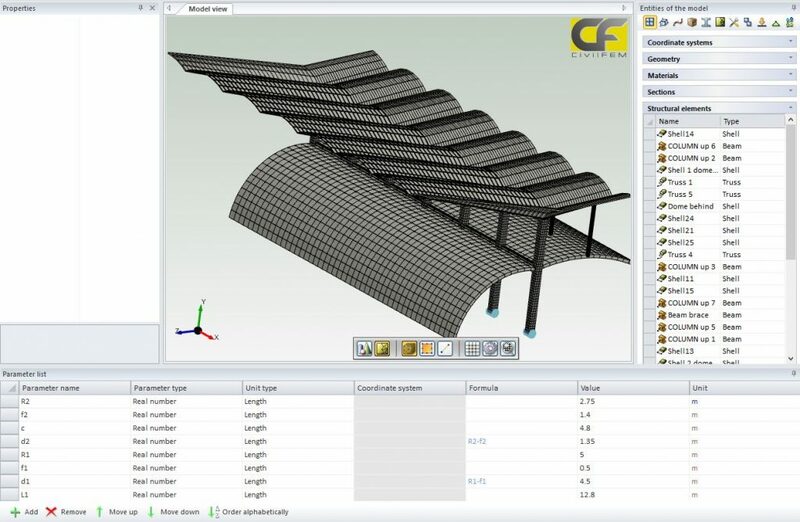 CivilFEM has been developed by Ingeciber, a company with nearly 30 years of experience in civil engineering, which has led to specialized capabilities for geotechnics and foundations, bridges and civil non-linearities, and prestressed concrete. Using the Marc solver engine, CivilFEM offers capabilities not often found in civil engineering simulation tools, such as linear and non-linear structural, static, and dynamic analysis; as well as Seepage and Heat Transfer capabilities. The most advanced, comprehensive and reputable analysis and design software package available for structural analysis and design of nuclear plant engineering projects, CivilFEM NPP is compatible with all CivilFEM products, offering additional capabilities for the design and simulation of nuclear power plant structures and buildings, such as built-in specific NPP codes and quality assurance verification according to NRC 10 CFR PART 21 and 50. CivilFEM NPP specializes in the simulation of concrete nuclear facilities, including determining stresses in concrete and rebar subjected to in-plane shear/membrane forces and biaxial bending moments. NRC 10 CFR Part 21. 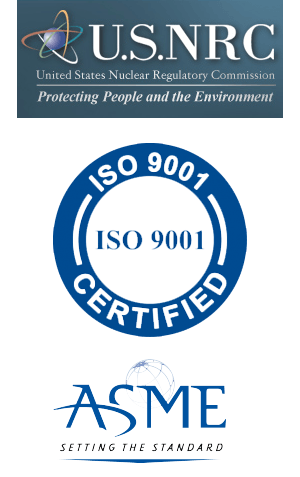 NRC 10 CFR Part 50 Appendix B.
CivilFEM Quality Assurance System includes: Verification Test Package, On site QA Test Services, QA Service Agreement & Auditing Rights. 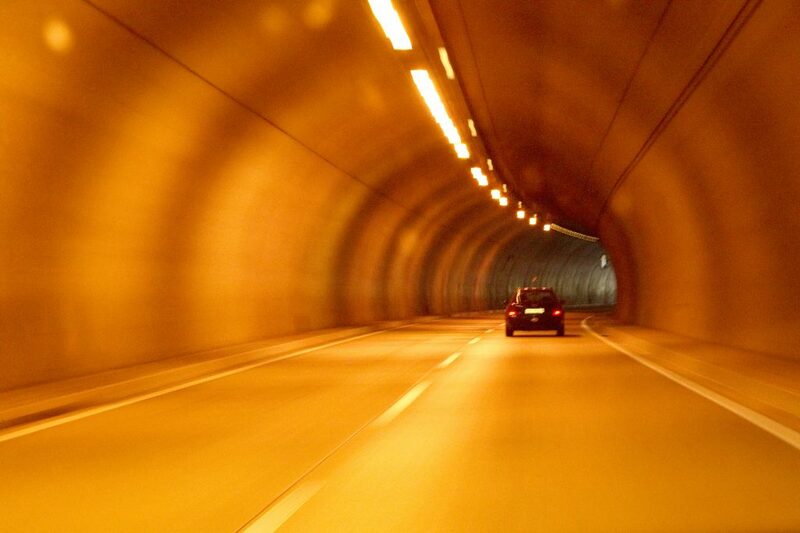 Forensic engineering is the investigation of materials and structures that failed or did not operate as intended. 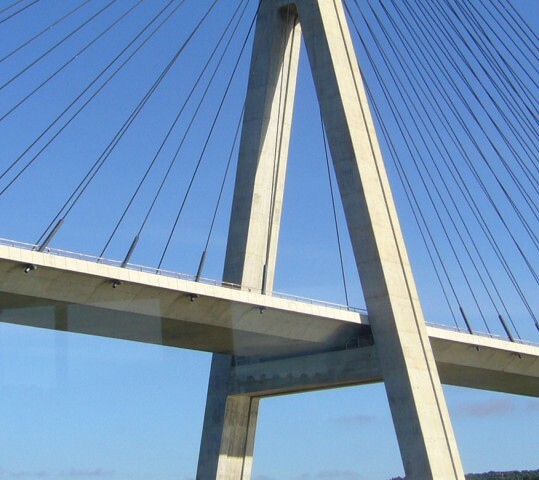 The purpose of a forensic engineering investigation is to locate the cause or causes of failure, as well as the restoration and maintenance to improve performance or life of the structures. 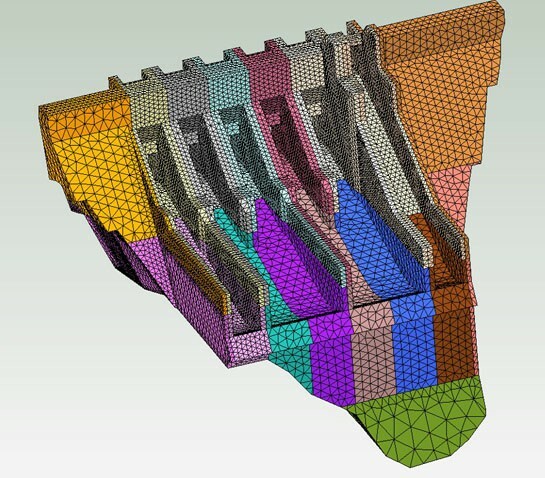 The advanced non-linear analysis capabilities of CivilFEM 2016 plus Code and Standards verifications make it a unique tool for Forensic engineering. 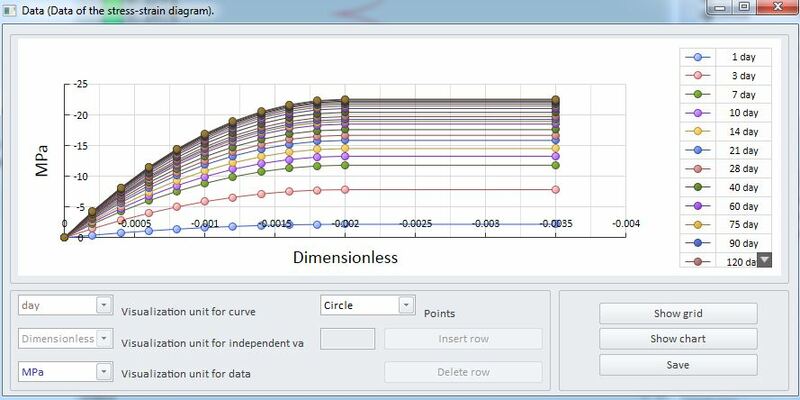 CivilFEM enables engineers to perform very sophisticate analysis, ranging from response spectra methods to non-linear time history or pushover analysis, incorporating soil-structure interaction, material non-linearity, geometric non-linear effects and boundary non-linearity. 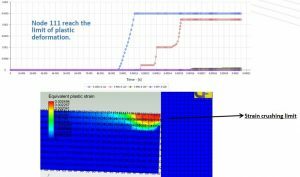 CivilFEM has very powerful seismic analysis capabilities. 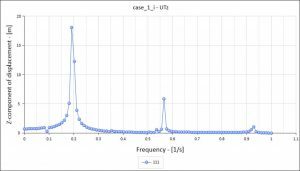 The user can calculate the response of a structure under known spectral excitation, according to international standards. 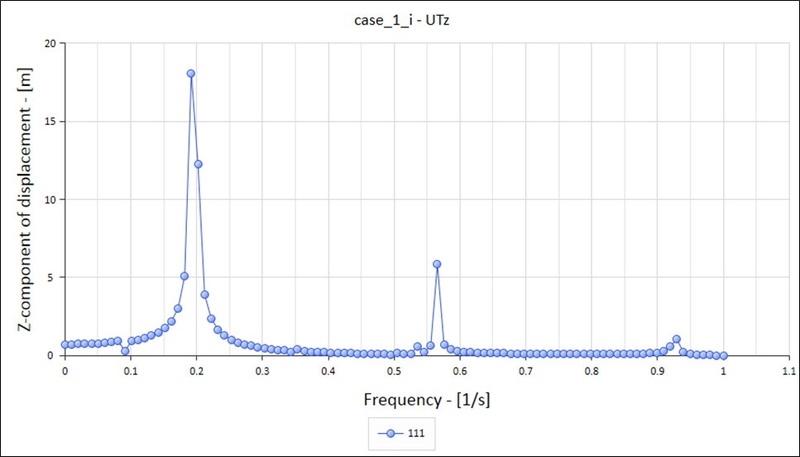 A user response spectrum can be entered in order to obtain the response under particular conditions outside those defined in the standards. 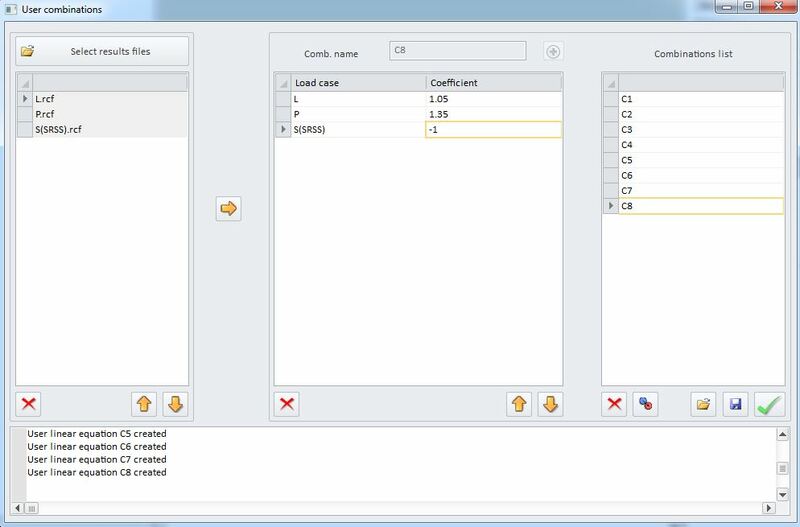 Automatic modal and directions and typical seismic combinations are available. 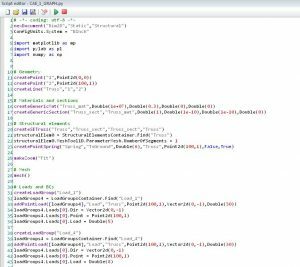 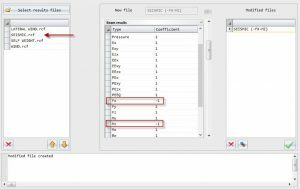 The user has the choice of defining the modal analysis like pre-stressed modal analysis as well as the range of frequencies or number of modes to be extracted in the seismic analysis definition. 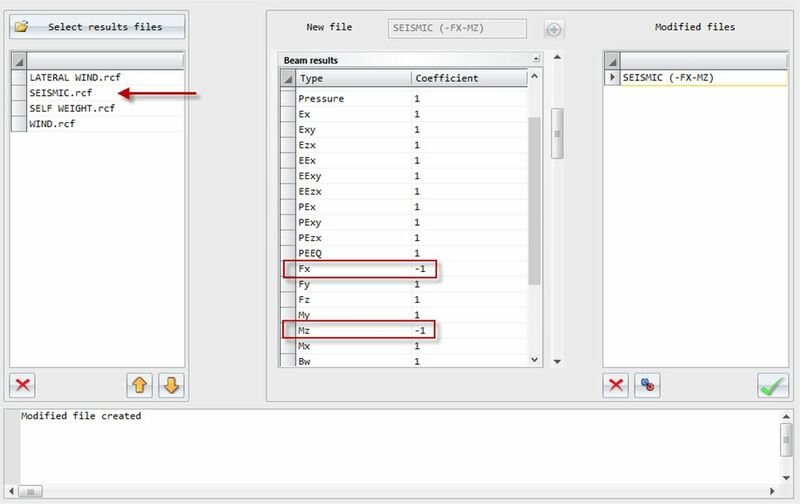 On the other hand, the forces to masses utility allows to convert a set of load groups to added masses, in this way, these forces will be computed like masses in the modal analysis. 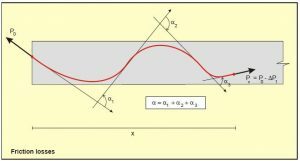 Apart from the non-linear constitutive law models included in CivilFEM, a material can be defined using different material behavior laws such as Drucker-Prager, Mohr-Coulomb, Cam-clay, Hoek-Brown, etc. that suit certain materials better than the default material models. 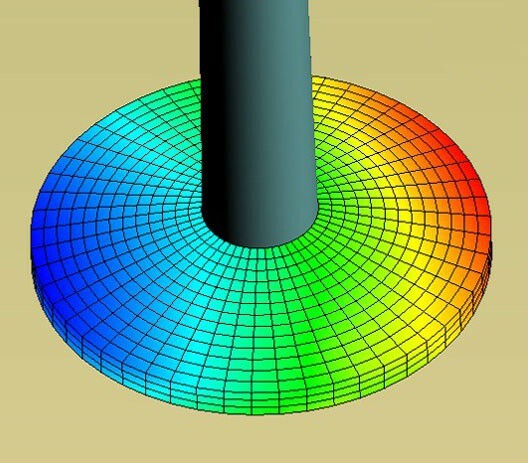 Orthotropic and anisotropic materials can be defined too, for those cases where materials with different properties in different directions are used. Temperature changes can induce large deformations or can lead to the appearance of undesired stresses and cracking effects. 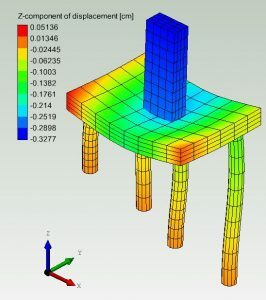 CivilFEM has the option to compute the effect that heat transfer has on the model along with the usual structural calculations directly including the temperature results from the thermal analysis along with the obtained structural results. Using an automatic coupled analysis approach, thermal stresses can also be calculated and the material can be defined to be temperature dependent if needed. 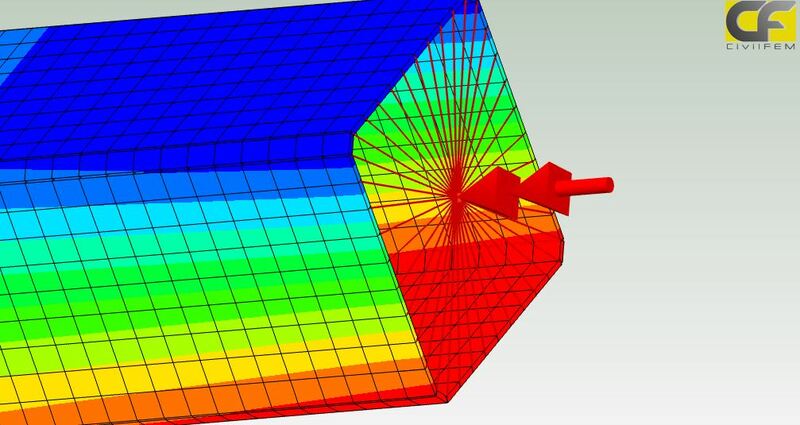 Both a steady and transient, linear and non-linear thermal analysis can be performed. 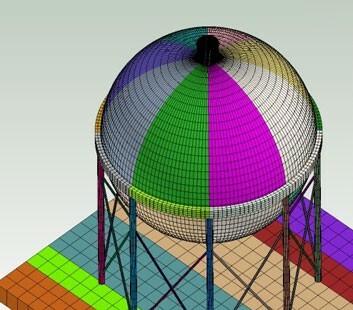 This state-of-the-art process puts the latest advances of the FEM field in the hands of the civil engineer. 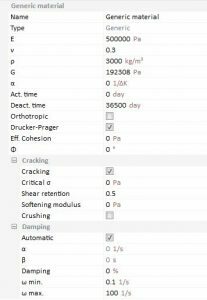 CivilFEM supports the inclusion of crack propagation phenomena in the model enabling the user to analyze high cycle fatigue problems and crack growth effects. 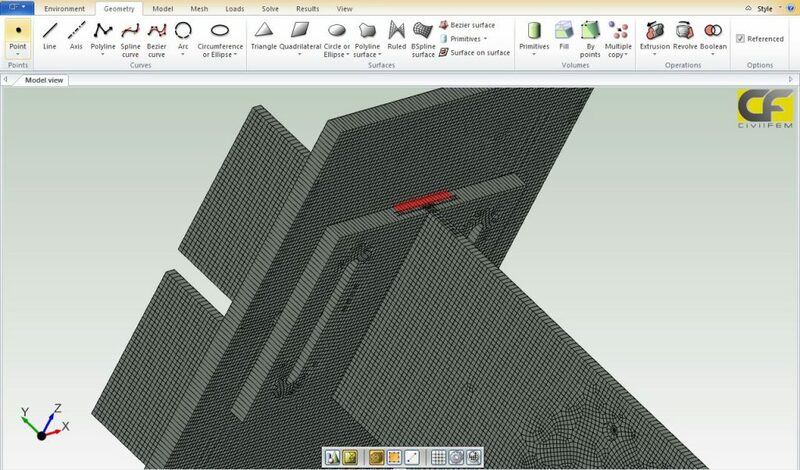 This feature drastically improves the viability of structural safety calculations. 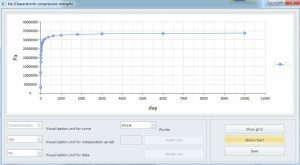 Water pressure in soils is a critical problem to consider. 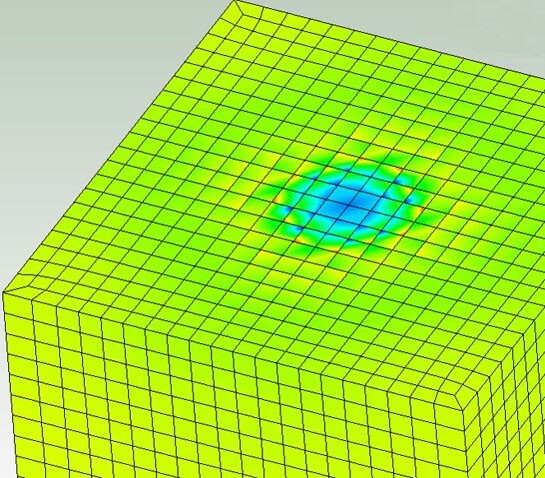 Both steady and transient porous media flow analysis are possible. 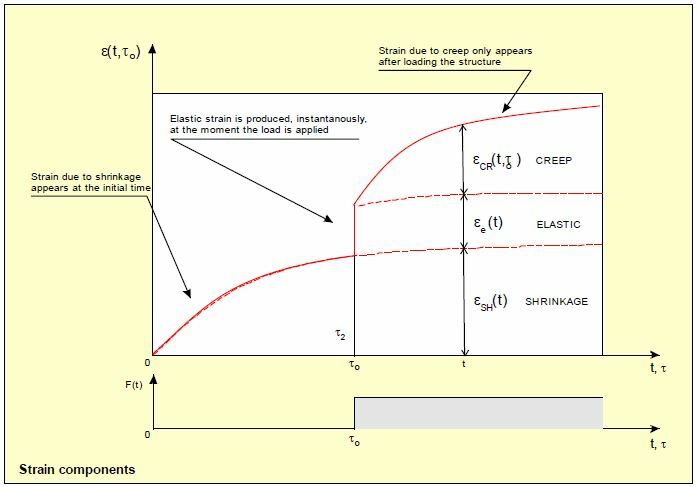 These seepage results are automatically considered in the structural analysis to get the effective stresses in the model. 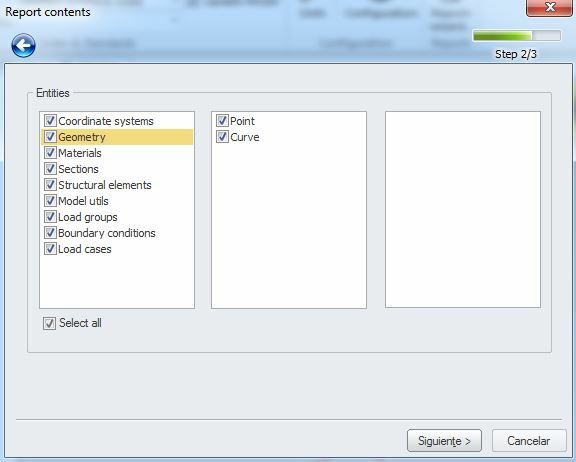 An option is provided to consistently project material orientations onto the element plane for solid composite and solid shell elements. 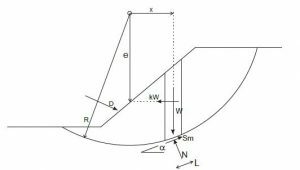 This enables the user to project the specified orientation system onto the ply so that the properties in the plane of the ply and perpendicular to the ply are clearly defined. The latest advances in material models are included in CivilFEM. 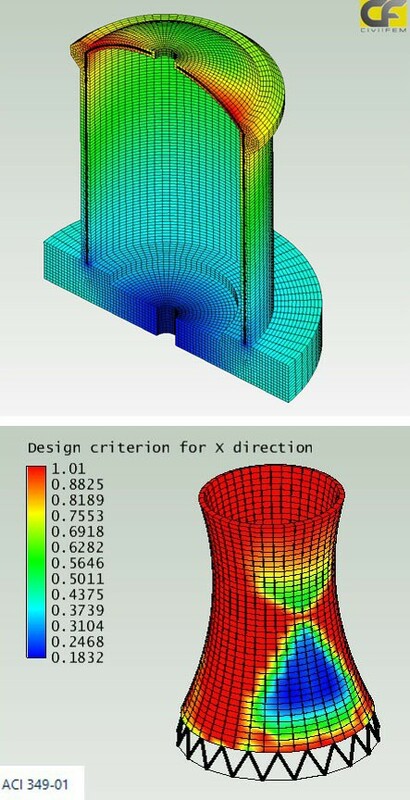 Hyperelastic models like Bergström-Boyce model are implemented, providing specific solutions to very particular problems, as the simulation of neoprene support elements for bridges. 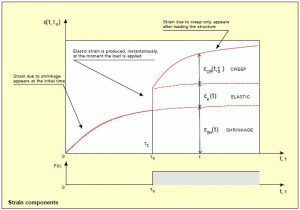 A common engineering problem is the design and checking of retaining walls. 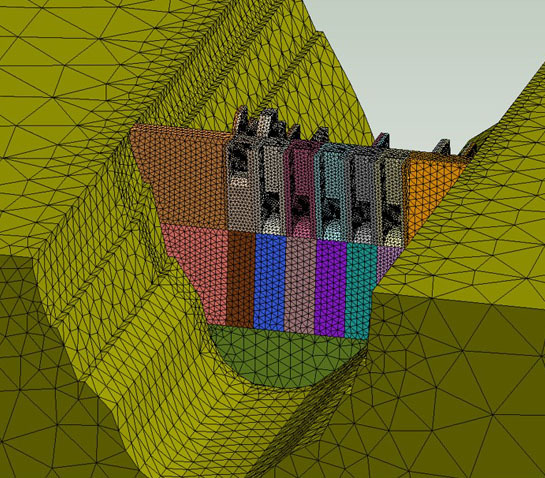 CivilFEM provides a customized set of wizards and features that include options for excavation phases, anchorages, contacts and many other specific geotechnical parameters for wall design. This module allows the complete design of retaining walls with a high level of detail combined with ease of use. 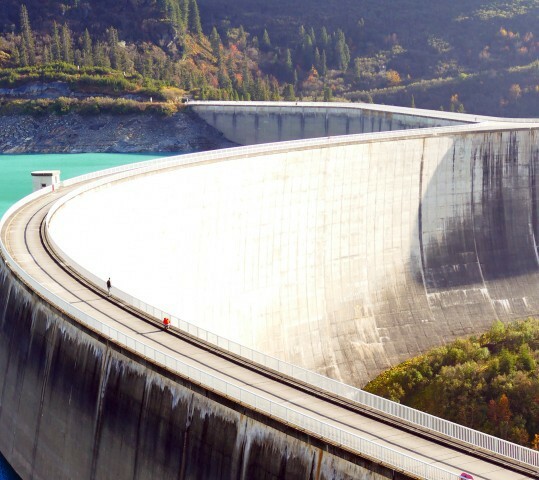 Pre-stressed Reinforced concrete is a key component in the design of large concrete structures such as bridges, large slabs, contention buildings, pressure vessel, etc. 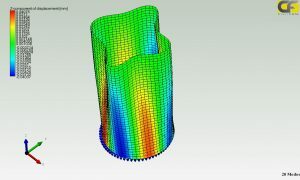 In CivilFEM, the user can create the tendons defining the tendon geometry by points and curves, giving the user total freedom in the way the tendons are created. 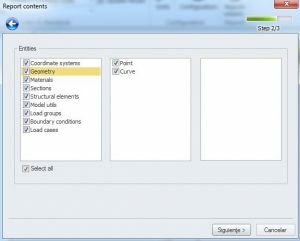 Complex tendon geometry can be entered easily using the dedicated tendon editor. 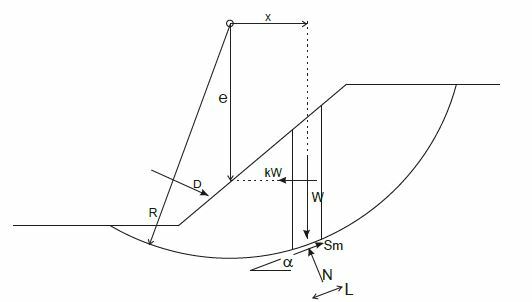 As CivilFEM is geared toward civil engineering, specialized features for several classic civil engineering problems are included. 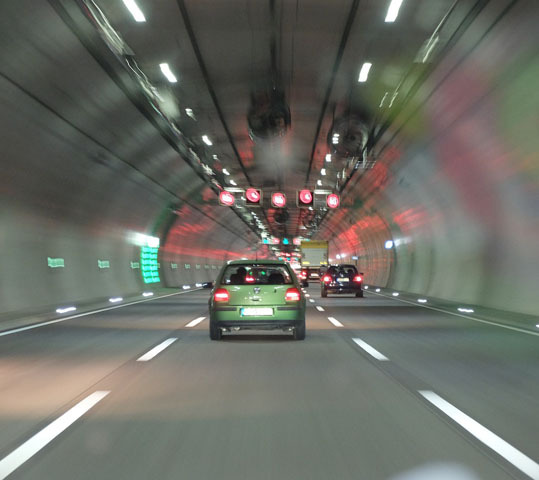 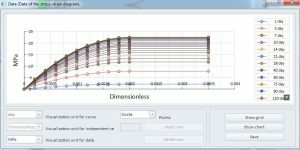 CivilFEM implements powerful bridge and tunnel analysis wizards. 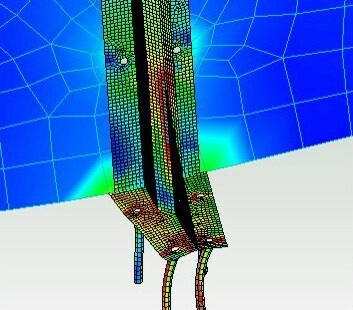 These tools facilitate and reduce the time needed for these problems, saving the engineer a great amount of work. 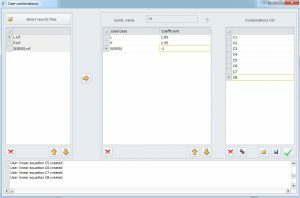 The user will be able to make a quick sketch of the problem and easily generate the necessary model and post-processing tasks. 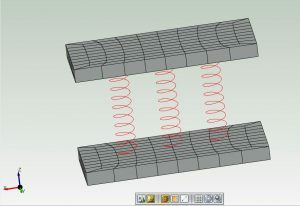 Furthermore the user will be able to fine-tune the design parameters with these custom tools. 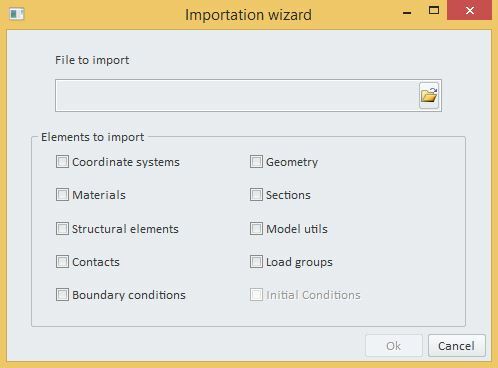 The engineer can reuse any CivilFEM created model by importing it using the Import model option. 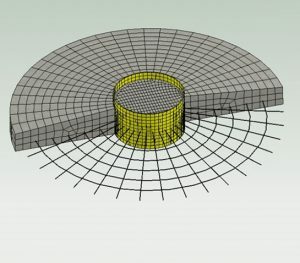 This operation allows creating new analysis from a single model, minimizing the time spent in the modeling process based on the same geometry. 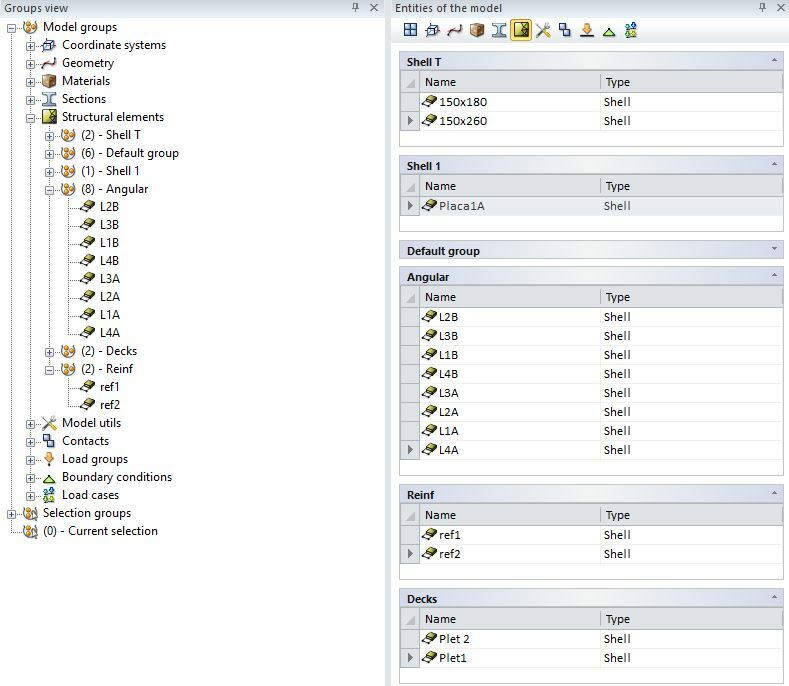 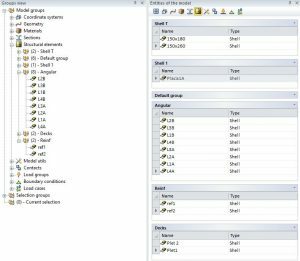 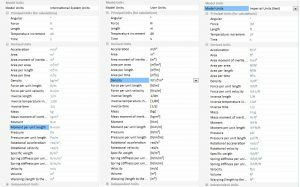 The engineer can choose among different importing options, such as coordinate systems, geometry, materials, sections, structural elements, model utils, contacts load groups, boundary conditions and/or initial conditions. 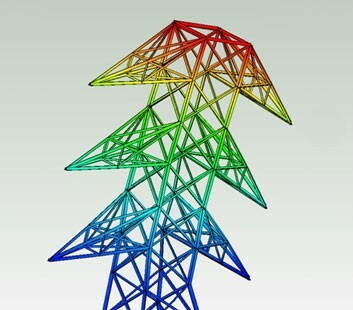 INTRO is the entry-level version of CivilFEM and it is tailored to civil engineers working on structural problems such as earthquake analysis with basic non-linearities and dynamics, CivilFEM can dramatically improve the efficiency of the structural design and analysis process, identify better solutions earlier, and reduce the risk of innovative construction processes. 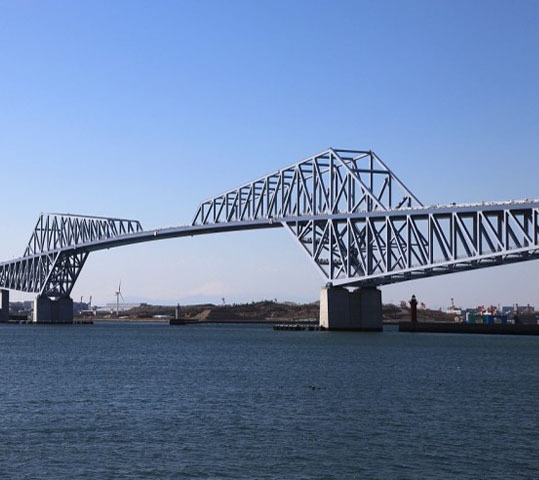 Key enabling capabilities include design verification according to international reinforced concrete and structural steel standards, as well as other civil engineering standards, all of which are built in to CivilFEM. 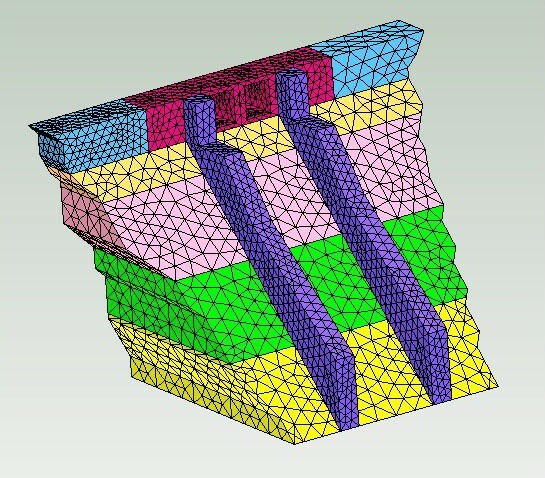 Specific civil engineering structural analysis output such as load path history, automatic response spectrum for seismic analysis, and nonlinear time history analysis are fully supported. 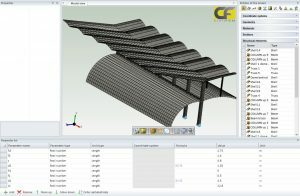 Model generation is highly efficient because of the library of materials and hot rolled structural steel sections, included in CivilFEM. 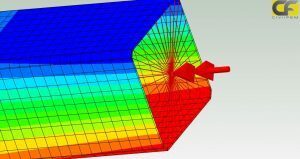 Highly accurate solutions are possible because all material properties are time-dependent, and allow the definition of true stress-strain diagrams and advanced nonlinear behavior. 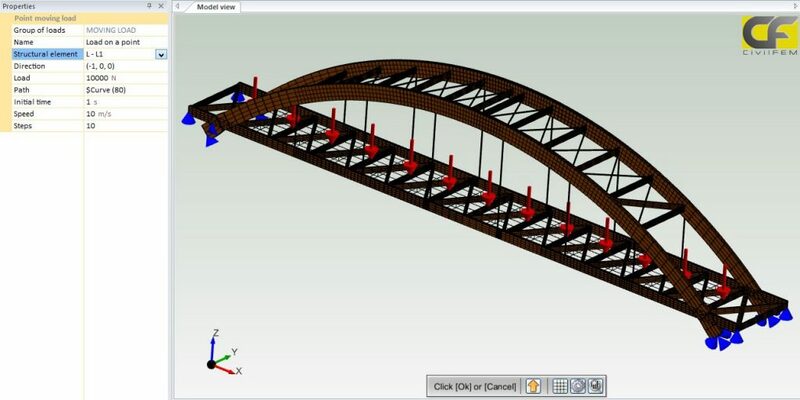 CivilFEM Advanced includes all functionality from CivilFEM Intro, and offers a complete set of advanced tools for non-linearities, geotechnical simulations and bridges. This product has additional capabilities for generating bridge models (both solid models and finite element models) from a layout and cross section definition, tunnel modeling, piles and micropiles, with wizards allowing easy creation of a geometric model, and the automatic application of moving load combinations. 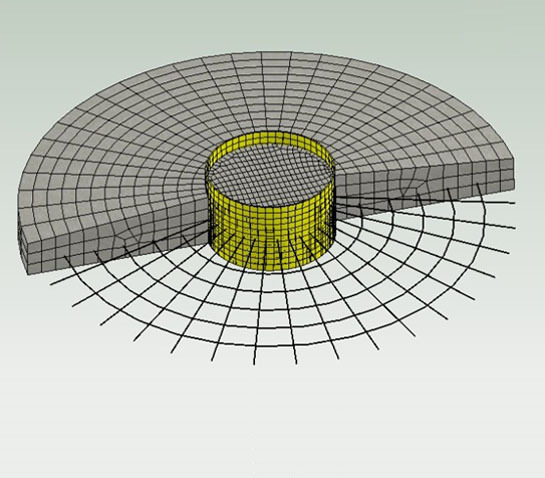 CivilFEM Advanced includes non-linear construction processes, pretensioned cables, free tendons, and 3D tendon editor for prestressed, deviatory prestressed/post-stressed forces. Advanced tools available for geotechnical simulations include soil and rocks models, deep foundations, retaining walls, and advanced material behavior laws. 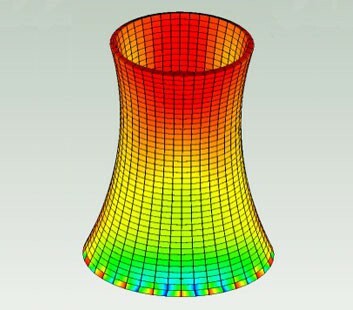 CivilFEM Expert includes all functionality from CivilFEM Advanced, and offers additional sophisticated modeling capabilities for crack propagation, transformation from solid models to shell models, laminate materials, and many others. 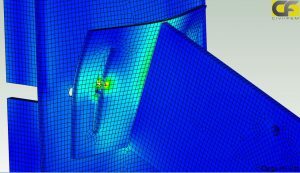 Seepage analysis to obtain water pressure, and steady and transient heat transfer simulations are supported as well. 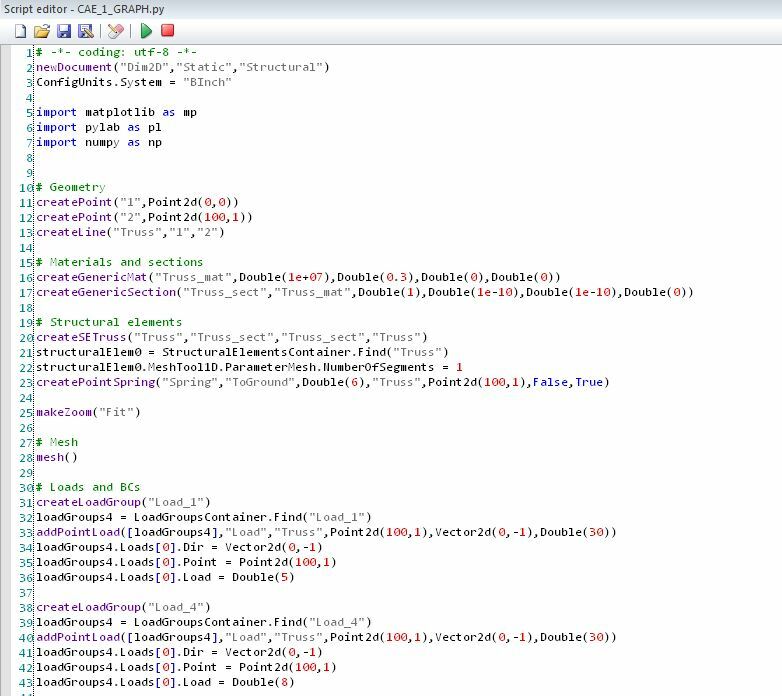 Want to see more of CivilFEM?